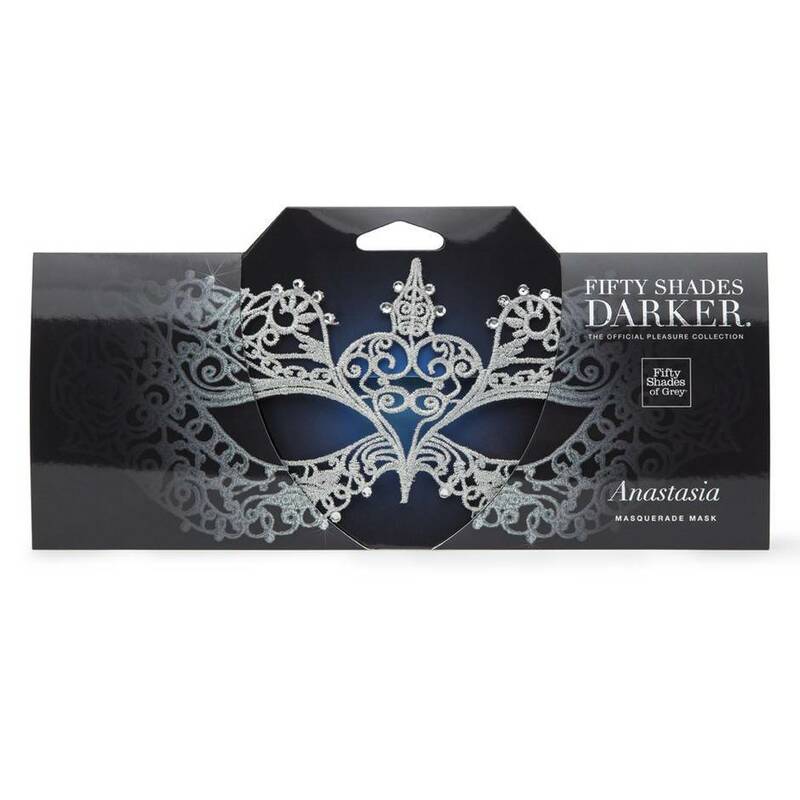 Live your fantasy and create your very own Fifty Shades Darker masquerade ball with the official Anastasia Masquerade Mask. Made from ornate lace and embellished with light-reflecting stones and silver ribbons, all you need now is that silver dress. With a flexible finish that forms to your face, this mask boasts cat-like eyes which frame and flatter your own peepers beautifully. 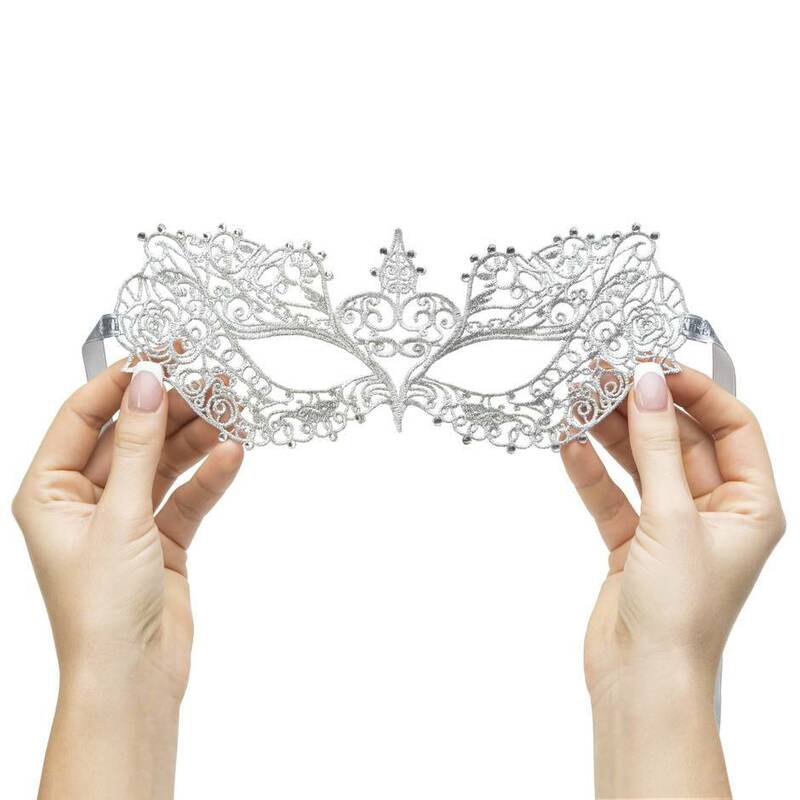 Wear for masquerade parties, masked balls, Fifty Shades Darker role play or even to the cinema! 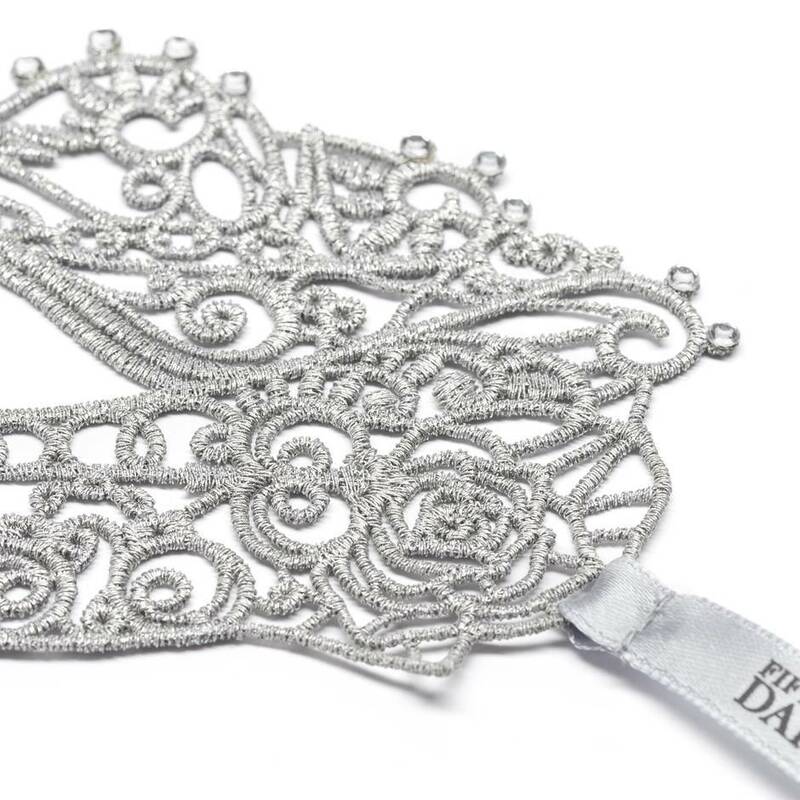 Inspired by Ana's actual mask, enhanced by our own designers and approved by E L James as the official Ana masquerade mask, explore its full embroidery to fully appreciate its intricate beauty, and see how many hidden messages and symbols from the books you can find. Don't accept cheap imitations and close-but-not-quite look-a-likes. If you want the real deal, this is it. 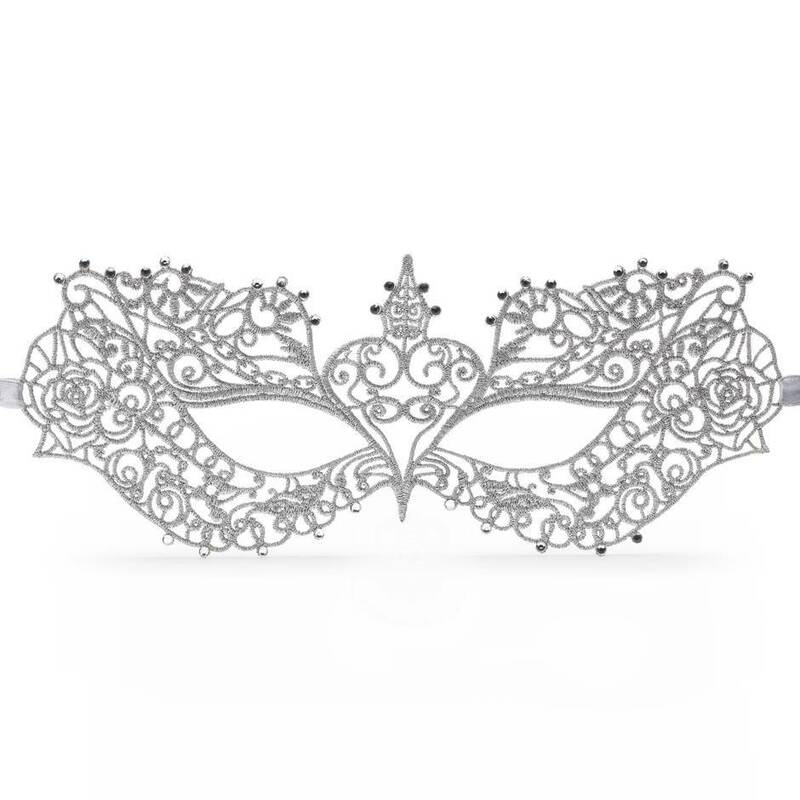 For authentic Christian and Ana fun, pick up the official Fifty Shades Darker Dark Prince Masquerade Mask. I purchased this just as a random buy in the sale and boy do I love it! I sometimes worry that these sort of items are going to be cheaply made and will fall apart after one wear, but I'm pleasant surprised. The stitching is beautiful and it actually feels like its made of good material. It fits well around my face and the silky ties can be hidden through your hair if this item decides to take a venture out of the bedroom. Totally surprised, but a great buy! Wow what a stunning mask! Firstly the packaging was very unique. Loved the way it came showing part of the mask. It looks great, a real quality piece. I love the details in the mask, if you look closely you can pick up on hidden items. Every time I look at it I see something different. The diamantes give it a bit of extra bling which helps it stand out. I haven't had a chance to wear it yet but cannot wait until I do. I have tried it on and it fits the shape of my face lovely and felt very comfortable. A great piece for my dressing up box. The intricate detail and hidden images. A gorgeous silver mask with clear diamantes. The material really fits to the contours of the face along with the ribbon tie which allows you to fasten it to your comfort. I love the diamontes along the outside edging which really adds sparkle and glamour to the mask. I wear this in the bedroom with confidence and would also happily wear it to a masquerade ball as I feel it is a classy product.